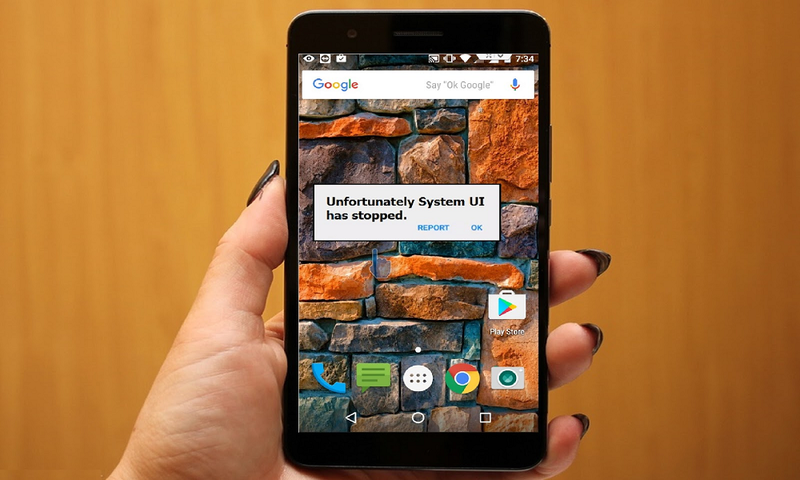 If you are facing the ‘Unfortunately System UI has stopped’ error on an android device, then Head over to this quick solution; you will get the best possible alternative solution to fix this error. If you are android user and face some error like’unfortunately System UI has stopped’ to display on your Android device, there is the standard error that most of the people are complaining about. Usually, the error shows up when you have to unlock the app or to use any third party app. After spending much time on forums, we will find some possible “Unfortunately System UI has stopped” solution for Android especially for Samsung Galaxy, Lenovo, LG, Xiaomi, HTC and other Android devices. The error Unfortunately System UI has stopped usually occurs when the operating system update either degraded or unsuccessful patched on your Android device. And also there are some reasons behinds to error occur on android, sometimes installed third-party launcher effect the interface, faulty, or buggy software update can affect the system UI. The first things to what the hell System UI Tuner It is. A neatly hidden menu in Android Marshmallow which allows users a bit of control on the status bar and its pull-down menu, Let’s check out how to fix “Unfortunately System UI has stopped” Error on Android. The android users have tired the uninstalling Google app updates, and it very well works for them, so here I can suggest you uninstall the Google app update. 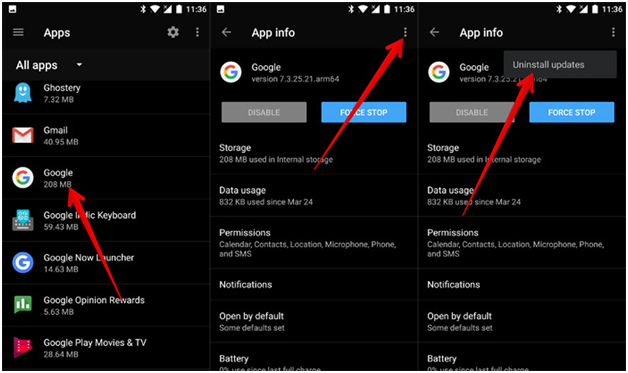 You can uninstall Google App update by heading to Settings → Application manager or app → look for the Google App and tap on it. Now you tap on Uninstall updates button and after app will automatically uninstall the Google app updates. 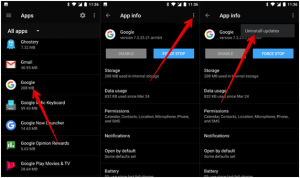 After uninstalling Google app updates, you need to restart your Android device and check that the error is still appearing on your screen or not? Some cases the android device have corrupted to the latest firmware update at that time you need to clear your caches and data it may work it, and also it affected on your device’s performance. It is very tricky, and it works well for most of the people experience. 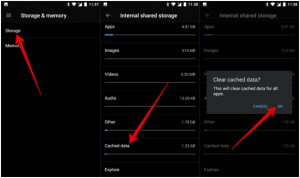 To solve the Unfortunately, System UI has stopped Error on Android, you should try deleting caches and data on your android device. To do that go to Settings → Storage & memory → Storage → Cached data and then choose Delete. 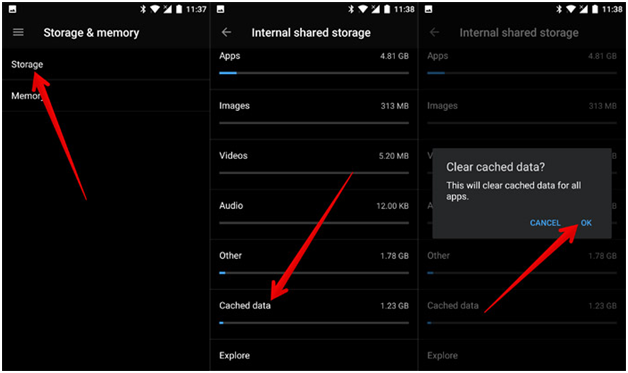 Also, I can suggest you clear caches and data regularly; it improves the performance of your Android device. If you have recently installed any new third party app (new APKs) on your Android device and you get this error, it means the apps you have installed May incompatible with your systems UI because your system is not giving way it enough permission to run the app smoothly. So you need to uninstall the third-party app is the most natural solution to for fix “Unfortunately System UI has stopped” Error on your Android phone. 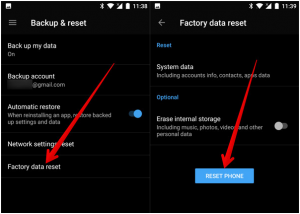 Sometimes, people have used it this solution or also get a better solution, so try to refer below steps, need to wipe the cache partition, and we can see that the error is fixed. Just follow the step as shown below and you can fix the error. After that Recovery Mode appears with many options,>> use volume up and down to control the screen and power button to press ok. Select wipe cache partition >> press power button, and it will then start cleaning the cache. Now your device has wiped the cache and you can use the device like previously without error. This process may erase the save data of the app like the save game, high score, etc. If none of the above methods worked for you, then you just got one way to solve the issue. 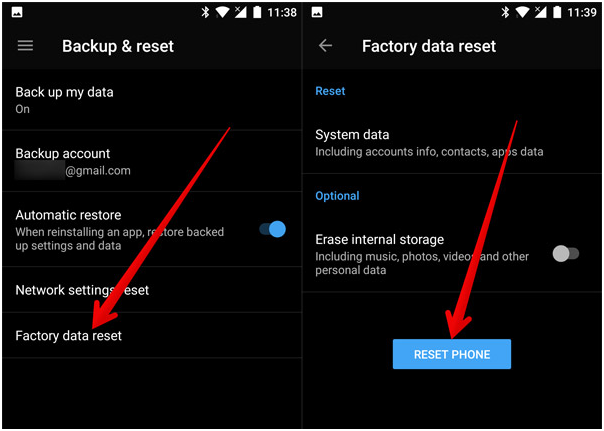 Factory Reset your device should fix your problem. So, these are some of the Solutions to Fix “Unfortunately System UI has stopped” Error in Android. I hope you like this post, and your problem is solved. If the error still showing on your screen then you should try to install other custom ROMs, it will fix the error. If you have any fix, you can share us in the comments.